Rare find in Litchfield! 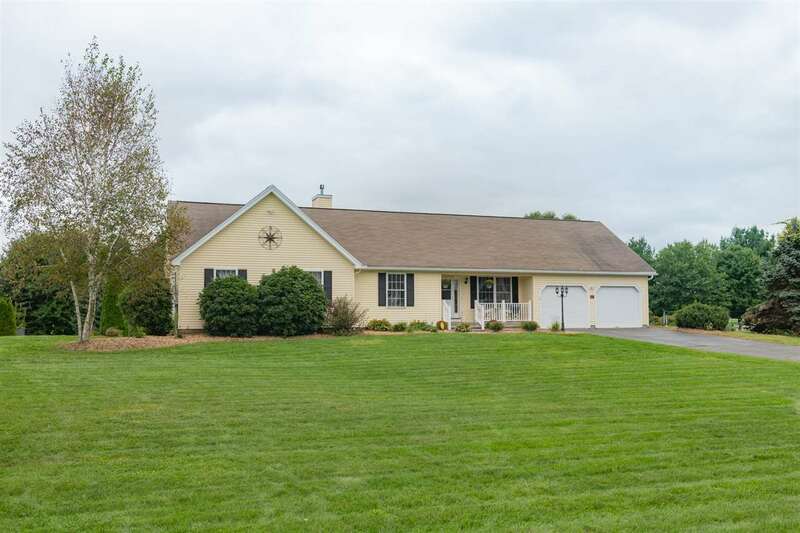 Get all you deserve and more in this lovely, sprawling 4-bedroom executive ranch backing up to the 10th hole on the Passaconaway Golf Course in one of Southern New Hampshire's most desirable neighborhoods. Main floor offers 4 good sized bedrooms, large kitchen with updated cabinets and fixtures, tile flooring and backsplash, beautiful granite counters, and also provides a nice open concept dining area and fire-placed living room. Like to entertain? Just off the main floor is the expansive great room with vaulted ceilings, wet bar and plenty of windows offering amazing views of the golf course and over 1 ½ acres of gorgeous landscaped yard on a level lot. The entertaining continues as you step outside onto a large, brick patio complete with fire pit and and even a spot that is ready and waiting for your hot tub! Summer's not over quite yet…so take advantage of the oversized in-ground pool that has all new pumping equipment and liner! Additional amenities include central air, central vac, irrigation system, generator hook-up and state of the art security system with cameras and motion sensors. You don't want to miss out on this “hole-in-one” home!! Fuel Company: Ciardelli Fuel Co.
Room 10 Dimensions: 21&apos;7" X 15&apos;2"
Room 11 Dimensions: 44&apos;3" X 15&apos;2"
Room 2 Dimensions: 19&apos;9" X 15&apos;4"
Room 3 Dimensions: 15&apos;3" X 12&apos;4"
Room 4 Dimensions: 11&apos;4" X 9&apos;9"